For the past year, I have had the opportunity to work firsthand expanding the BBA’s Lawyer Referral Service’s reach to service members, veterans and their families through the Military & Veterans Legal Help Line. 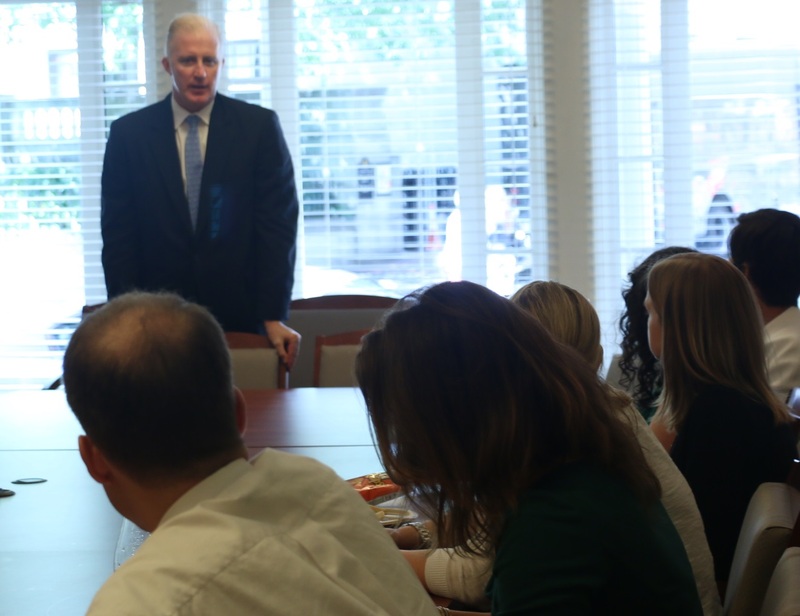 September marks the one year anniversary that the Lawyer Referral Service (LRS) has housed the help line, which was developed in 2011 to connect this underserved population with the legal resources they need. As the Intake Coordinator of the BBA’s Lawyer Referral Service, I connect hundreds of callers per week with attorneys, legal services, and community organizations. Whenever I pick up the phone and the caller identifies as a disabled veteran struggling to pay their mortgage, or an active duty military member facing family law disputes, I am reminded of the strength, courage, and dedication that these individuals put forth to serve our country. That this need exists so prevalently in our society helps motivate me to do what I can to improve access to legal services for the individuals and their families who served our nation. I leave each call remembering that there is more than we can do for veterans. Instead of just thanking veterans for their service, I am fortunate enough to show my thanks by offering and connecting them with assistance. The legal community has the opportunity to show their thanks and appreciation for the sacrifices of service members in another way – by agreeing to take cases on their behalf. The BBA and the Lawyer Referral Service has made considerable progress through the Legal Help Line this year. Since September 2013, we have connected 340 active-duty military, veterans, and their families to lawyers and legal services, a 161% increase in the amount of individuals that we were able to serve than the year prior. The LRS maintains a panel of attorneys who are trained to understand the nuances of representing this population, and our Active Duty, Family Members and Veterans Committee is ready to address new challenges in the year ahead. Despite this great success, we still need more attorneys to take cases. 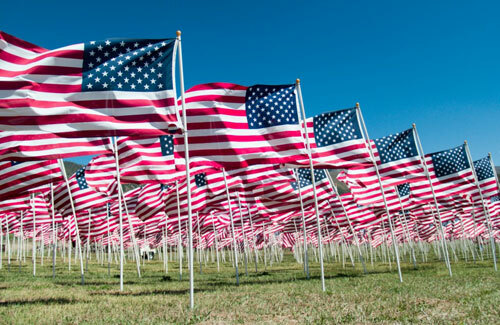 If you are an attorney who wants to help support the BBA’s Military & Veterans Legal Help Line, contact me at sgoss@bostonbar.org, or the BBA’s Public Service Manager Sonia Shah at sshah@bostonbar.org. The BBA has an ongoing commitment to support service members and their families…so what’s next? On September 23rd the BBA will host the first part of a two-part series to raise awareness about the critical issue of military sexual assault. U.S. Rep. Niki Tsongas will be lending her expertise on the issue and her highlighting her work fighting against sexual assault in Congress. For more information and to register, click here. BBA staff set up shop in Kendall Square along with other non-profits and vendors. 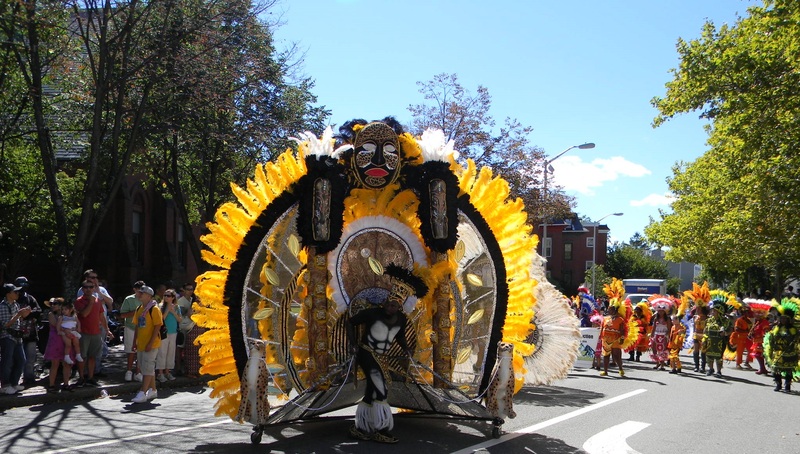 This past Sunday, the BBA Lawyer Referral Service (LRS) joined in the festivities at the 21st annual Cambridge Carnival International, a celebration rooted in African traditions that brings together the area’s diverse community. This year’s festival drew an estimated 150,000 people, making it the largest festival in Cambridge. Carnival attendees who stopped by the BBA’s booth learned about the BBA and how to receive a referral from the BBA LRS, only ABA-approved lawyer referral service in the greater Boston area. This is the 4th year that the BBA staff had a booth at this event. Attending events around greater Boston is one way that the LRS reaches out to the public about services available to them, including reduced-fee referrals, attorneys who practice Limited Assistance Representation, and the Military Legal Help Line. The colorful parade is a highlight of the annual Cambridge Carnival International. 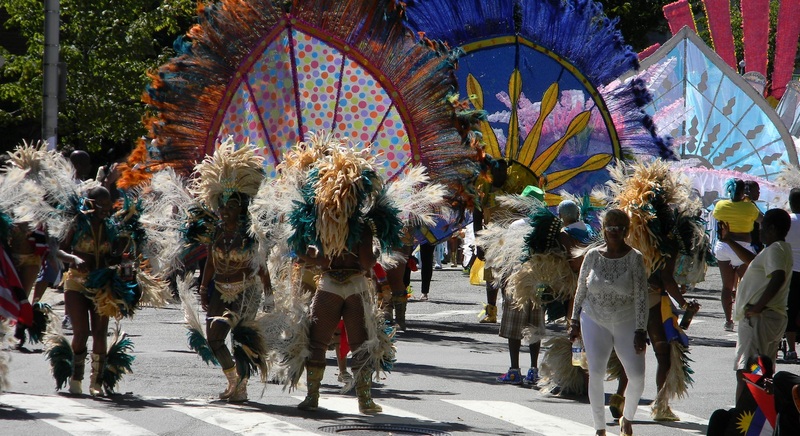 Parade participants draw from African & Caribbean roots with their costumes. To refer clients to the BBA Lawyer Referral Service, please have them call (617)742-0625 or (800)552-7046 Monday through Thursday, 8:30 am to 5:30 pm and Friday from 8:30 am to 5:00 pm. Clients can also visit us on our bilingual English/Spanish website at www.bostonbarlawyer.org to submit a request online. Larry Dicara, a partner at Nixon Peabody LLP, was one of the many volunteers who donated their time to speak with the BBA Summer Jobs Program during their weekly enrichment seminars. We hope you’ve enjoyed following along with the BBA Summer Jobs students this summer as they learned about legal careers and gained on-the-job experience. As you know, one of the hallmarks of the BBA Summer Jobs Program is the weekly enrichment seminars. 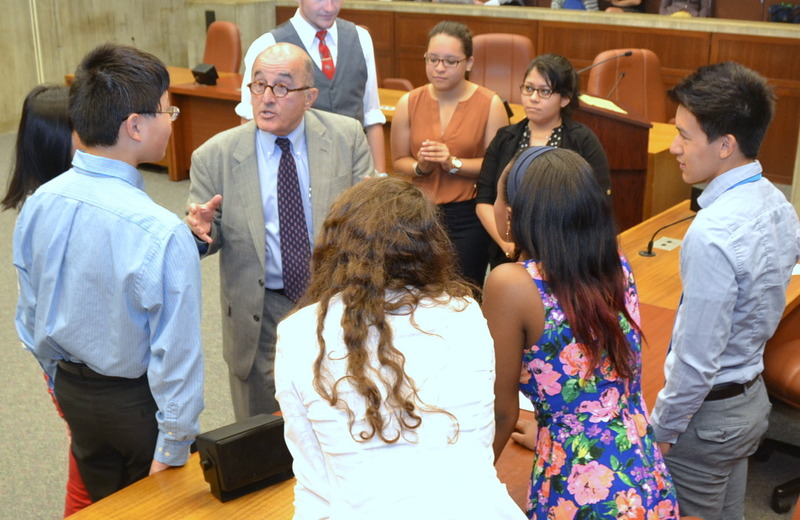 This summer, students had the opportunity to participate in a mock City Council meeting at Boston City Council chambers, a “speed dating” session where they heard from lawyers from three different backgrounds, a trip to the John Adams Courthouse, and much more. However, these enrichment seminars would not be possible without the help of dedicated volunteers who lent their expertise to educate the students about the legal field, professional development, and financial literacy. Colin Van Dyke, Mintz, Levin, Cohn, Ferris, Glovsky and Popeo, P.C. Liraniz Colón and Mackaila Garcia were funded by the Boston Bar Association to intern at the Volunteer Lawyers Project of the Boston Bar Association through the BBA Summer Jobs Program. If you’ve been reading BBA Week this summer, you’re familiar with our “Summer Jobs Snapshots,” weekly features offering both an in-depth and on-site look into what the BBA Summer Jobs students were up to this summer. If you’ve been too busy enjoying summer to catch up with our students, not a problem – we compiled all the snapshots in one place for you. Myntah Morris mentored Lucy Pimental through Burns & Levinson LLP’s unique mentoring model for BBA Summer Jobs students. Click here to view the full article. 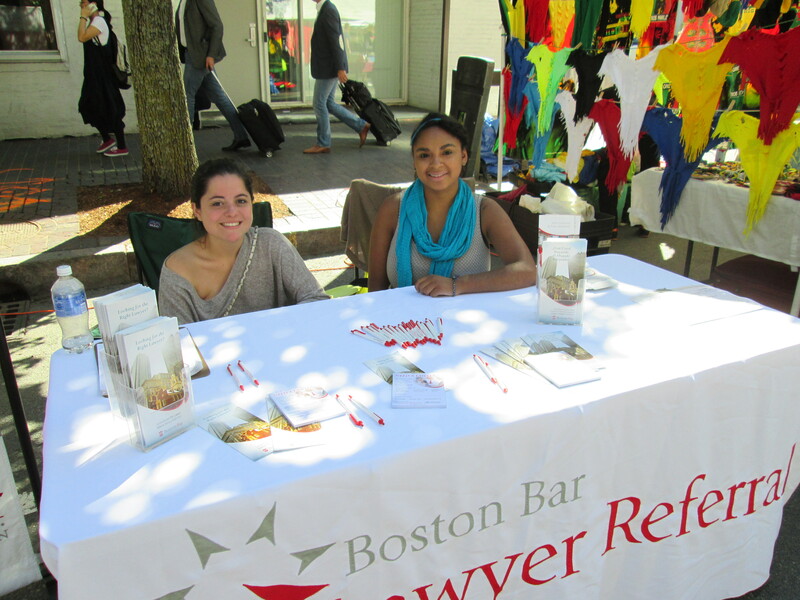 Liraniz Colón and Mackaila Garcia learned about legal services through their BBF funded internship at the Volunteer Lawyers Project of the Boston Bar Association. Click here for more. Erik Solis gained insight into the legal field, as well at the financial advising, through his internship in the legal department of LPL Financial. Read the full article here. Loyanni Carvalho-Mendes, Jose Maria, Olivier Tingue, and Emily Mercado spent their summer rotating through the different departments at Edwards Wildman Palmer LLP and prepping for their MOOT Court Competition. Click here for more. 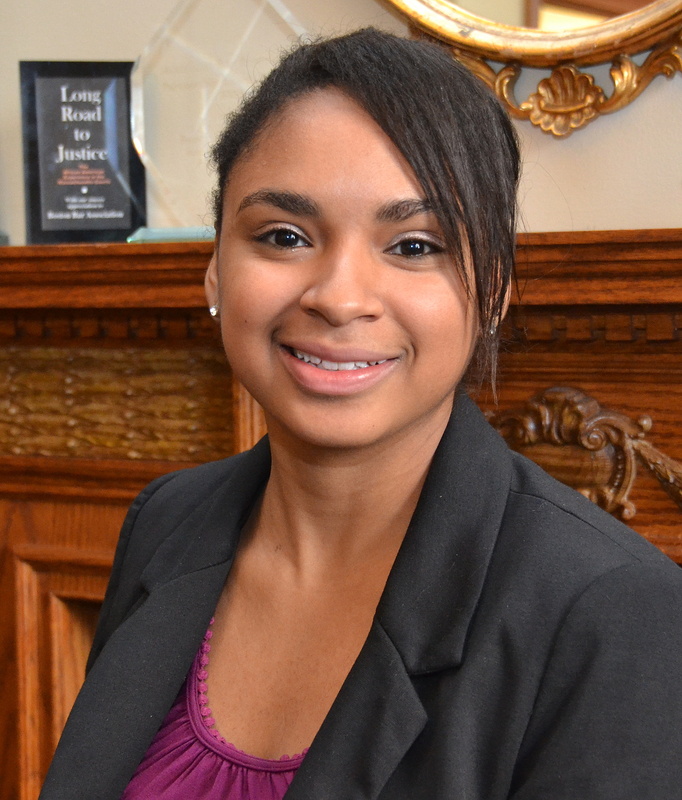 Julia Hancock, whose position was funded by the BBF, observed court hearings at the Roxbury District Court during her internship at the Suffolk County District Attorney’s Office. Click here for the full article.